I was up in Chico this weekend, and during my usual sleepless Thursday night I drove out to Plumas National Forest to take some pictures under a really dark sky. I drove up Highway 70 to Belden and then took a small road up to the Caribou hydropower station, which seemed like a pretty good choice when I was looking at the map. Unfortunately, it turned out that everywhere I went was hemmed in by trees that blocked the sky. I didn’t have time to look around for a better viewing area, but the good news is that it was really dark, the sky was clear, and eventually I found a spot that was good enough to get some decent pictures of the Milky Way. The stacked image lost most of its color for some reason. I’m not sure why. It’s also a little brighter, but that’s due to variations in the post-processing, not the images themselves. If I were more careful, both images would be equally bright. My take is that the JPG image using the camera’s built-in noise reduction is cleaner than the stacked images. It’s possible I’m not getting as much as I could out of the stacking software. I used seven images plus one dark image, and I could always do more than that. Still, that should produce pretty good results. The alternative is that the camera’s built-in noise reduction is just really good. There’s a real drawback to the sky being super-dark: the background stars show up so brilliantly that they actually interfere with the image of the Milky Way. It’s possible that a very clear night and a slightly less dark sky might be the ideal combination for this kind of photography. This is probably about the limit of what my camera can produce. I still plan a short trip out to Utah or Arizona later this year to take some pictures under the darkest night skies and prettiest backdrops in America, but I don’t expect the basic quality to be much different. Everyone who told me that the Milky Way was awesome with the naked eye lied to me. This time around, the sky was dark and clear and at one point I took a full half hour to do nothing but look at the sky and let my eyes adjust. 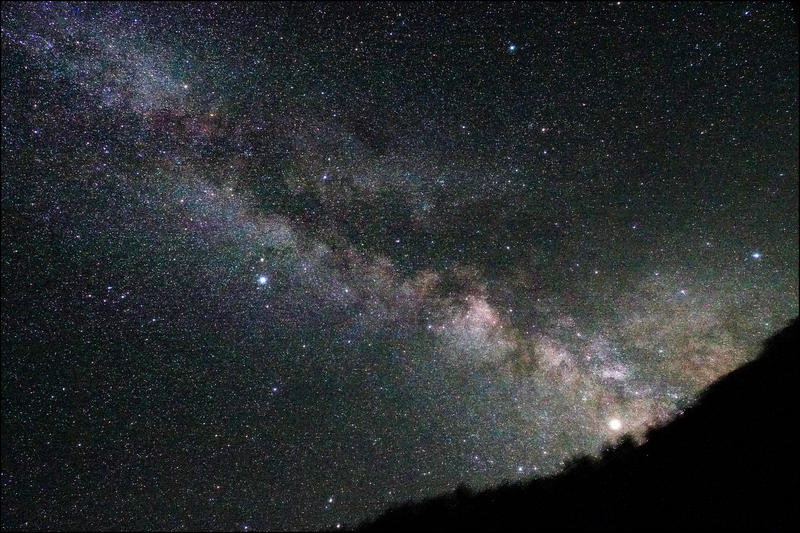 Even then, the Milky Way is little more than a hazy blur, not really very impressive at all. It’s nothing at all like you see in these pictures, which were exposed for five minutes. 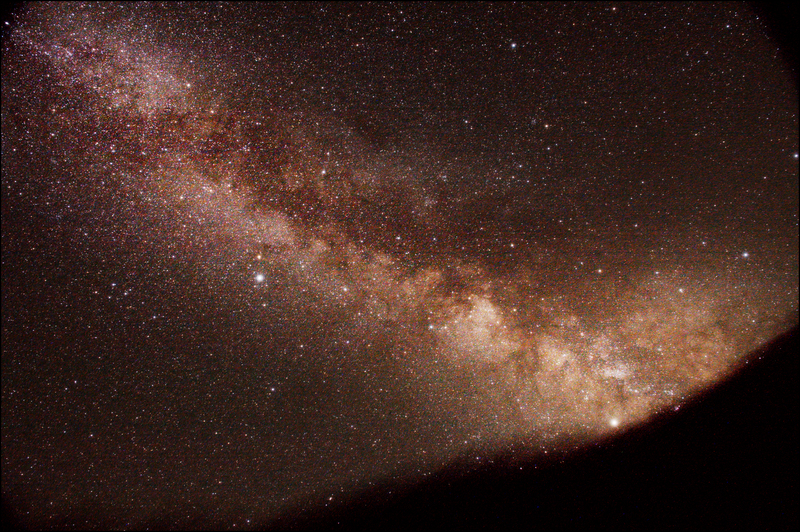 That’s about it for the next month or two, as far as the Milky Way goes. I’ll have more in July or August, depending on when I take my mini-vacation.